SEATTLE – Aug. 26, 2014 – BizX today announced a significant update to its marketplace and BizX dollars (BizX$) private currency designed to add the liquidity and nationwide scalability needed to help small businesses participate in the sharing economy. BizX is a community of businesses and consumers that can buy and sell amongst each other using BizX dollars rather than US dollars. BizX allows small and medium businesses to participate in the sharing economy by providing a platform, currency and credit facilities for them to buy and sell amongst each other without having to use their cash. BizX benefits to businesses include providing a new sales channel, helping to manage cash and increased purchasing power. Because it is a “cashless” service, purchases made using BizX$ help grow a business’ cash flow. Thus, paying $10,000 in BizX dollars for an expense, really only costs the business the cash it paid for its cost of goods. BizX dollars have been upgraded to facilitate new payment methods. Businesses can use the currency for payments made in person via a payment card, or payments made online via smartphone payment app or on BizX.com. The company developed the currency using Microsoft’s .NET Framework and built in application programming interfaces (APIs) for interconnection with global credit card payment networks. BizX has launched the marketplace in U.S. in Seattle and San Francisco Bay Area. The platform has almost 4,000 businesses as members that are conducting more than 7,300 transactions per month representing more than 6.25 million in goods and services purchased using BizX$. The company’s upgrade of its marketplace has turned it from a closed, barter exchange to an open, Internet-based marketplace that can scale to support businesses nationwide. The company has added new features including a buyer and seller rating system for buyer protection, a new BizX credit capability that can loan BizX dollars to qualified businesses, and a Perks by BizX function that allows business owners to award BizX to employees as an extra award. The new e-commerce platform is open to businesses at my.bizx.com. The service is popular with restaurants, hotels, printers, construction firms, dry cleaners, event organizers and venues, caterers, website developers and legal and accounting businesses with revenues that range from $500,000 to $40 million. Members use the BizX marketplace in diverse ways – from buying boats, restaurants and Picasso paintings to making donations to charities. The most everyday uses, though, include paying for travel, dining out and buying equipment and services that members need for their business or personal life. “Not only has BizX been a great resource for sourcing new vendors but it has quite literally helped us grow our business,” said Todd Parent, founder and CEO of Extreme Pizza, a San Francisco-based chain of gourmet pizza restaurants in nine states that are focused on convenience and cool. Businesses join BizX partly because it is a tool to transform inventory and capacity into new and profitable customers via BizX dollars that can be used to buy other products and services. In that regard, BizX is an alternative to Groupon, Living Social and other services that provide a sales channel for this inventory. While these services do that by promoting massive discounts that may hurt a brand and may not be profitable, BizX does it by introducing the business to new, committed customers who are also members who are buying and selling at market price. Businesses interested in BizX can find out more information or join for free at my.bizx.com/Registration. 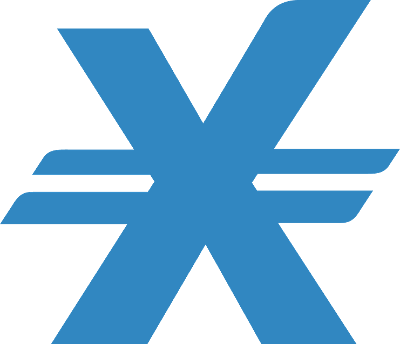 BizX is a service of BizXchange Inc. and is a trusted community of businesses that uses a private digital currency called BizX dollars, in lieu of US dollars, to buy and sell products or services on the BizX e-commerce site. BizX members offer their products or services for sale on BizX.com, which allows them to increase sales, attract new customers, save cash, increase profits and sell excess inventory. Founded in 2002, BizXchange has offices in Seattle, San Francisco and Dubai. For more information, visit BizX at http://www.BizX.com.